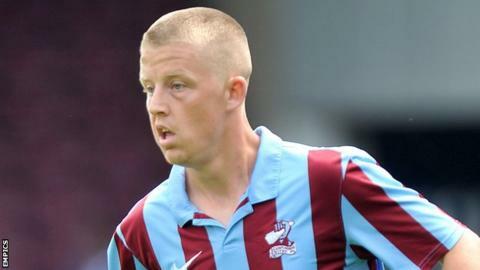 Conference National side Lincoln City have signed midfielder Terry Hawkridge on an 18-month contract. Hawkridge has been on loan with Imps since September and has re-joined the club after his deal with Scunthorpe United was cancelled by mutual consent. The 25-year-old has played 25 games for City in all competitions this season, scoring one goal. He spent the second half of last season on loan at Mansfield Town, appearing five times for the Stags.